Students, faculty, and staff from area colleges and universities are invited to submit proposals related to sustainability initiatives. EcoExchangeEdu will highlight connection between civic efforts and those in higher education. 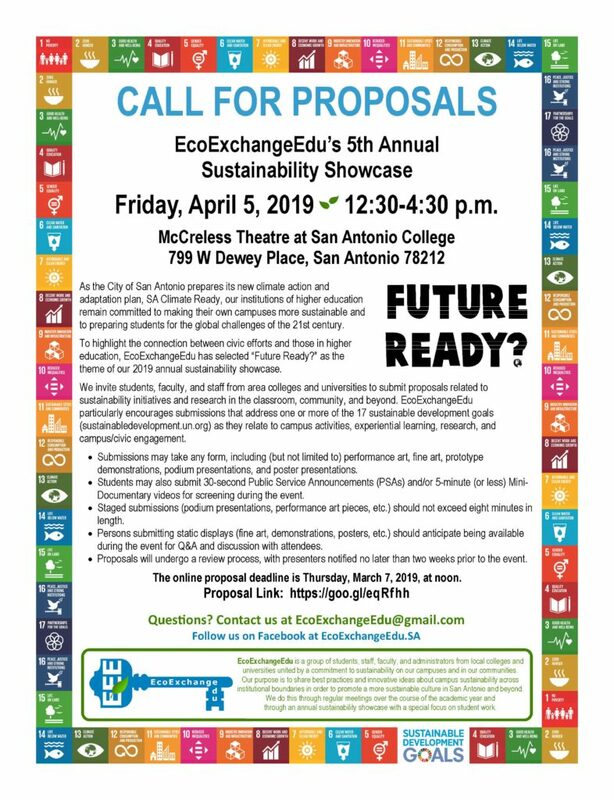 The theme for the showcase is “Future Ready?” As the City prepares for its new climate and adaptation plan, EcoExchangeEdu is working toward broadening the efforts to help college campuses become more sustainable and prepare students for the global challenges of the 21st century. The online proposal deadline is Thursday, March 7, 2019 at noon. Visit the proposal’s website to submit. The showcase will take place on Friday, April 5 from 12:30 p.m. – 4:30 p.m.
EcoExchangeEdu is a group of students, faculty, staff and administrators from local colleges and universities united by a commitment to sustainability on college campuses in and the community.